Harland R. Abraham, is the Chief Business Development Officer for INROADS, Inc. Mr. Abraham rejoined INROADS as the Vice President of Strategic Account Management and Business Development in early 2015 after 13 years at Northern Trust where his last position was Vice President in the Public and Taft-Hartley Funds Division for The Northern Trust Company in Washington, DC. In this role, Mr. Abraham was the lead Client Executive on select Northern Trust institutional clients in the Public Funds and Taft-Hartley Division. Mr. Abraham began his professional career as in INROADS Engineering Intern for Reliance Electric Company in Cleveland, OH in 1981. He later moved to Fort Wayne, IN with the General Electric Company’s Motor Business Group as an engineer in technical sales and marketing. He later joined IBM Corporation as a Marketing Representative and Client Executive in Cleveland, OH. He also worked at Johnson & Johnson’s Ethicon Endo Surgery Company as a Medical Sales Representative in New York City and at Silicon Graphics as a Channel Partner Manager in Chicago, IL. Mr. Abraham began his career at INROADS at INROADS/New York City, Inc. in 1994 as a Manager before being promoted to Managing Director of INROADS/Chicago, Inc. in 1996. He also served on the INROADS, Inc. University Relations Committee, facilitated Consultative Selling training for all INROADS staff from 1995 – 2000, was a National Account Consultant and was the first Director of Client Relationship Management. He is an INROADS alumnus and served in multiple leadership roles in his alumni chapter in Northeast Ohio and in the National INROADS Alumni Association (N.I.A.A. ), ending as the Chair in 2001. Mr. Abraham is member of both the N.I.A.A. and INROADS/Northeast Ohio, Inc. Hall of Fame. Mr. Abraham earned his Bachelor’s of Electrical Engineering degree from Cleveland State University’s Fenn College of Engineering along with Minors in Physics and Mathematics in 1986 and a Certificate in Business Administration with a concentration in Not-for-Profit Management from the University of Illinois at Chicago’s College of Urban Planning and Public Affairs in 1998. Mr. Abraham also earned a US Patent in 2014 for engineering design work provided on a medical device he helped invent with a doctor and a nurse. Mr. Abraham is the Board Chairman of The Coalition for Higher Learning, Inc., and former Member of the INROADS Mid-Atlantic Region and INROADS National Boards of Directors. He is the Treasurer of the Trustee Ministry Board at his church. He is a graduate of the United Way Services of Greater Cleveland’s Leadership Development Program, 1993 and the United Way Services of New York City’s Linkages Board Training Program, 1995. 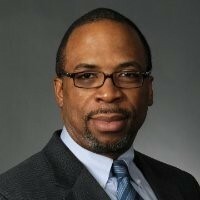 He is also a past board member of Lakeside Family & Children’s Services, a $20 Million agency providing foster care and elder care to New York City residents and former outside Board Director for Ganton Technologies, Inc., a former $250 Million, privately held, aluminum, zinc and magnesium die casting company. Mr. Abraham and his wife, Lisa, live in Columbia, Maryland with their two sons Brandon, and Jordan.